Last year I carried out an extensive consultation, Listening to You First, on your priorities for my first Police and Crime Plan 2013-18 that sets the strategic direction for policing and community safety across West Yorkshire. Many of you responded with important views and your concerns are reflected in the Police and Crime Plan, most specifically in the priorities and in the commitments that I have made to you as your Police and Crime Commissioner. 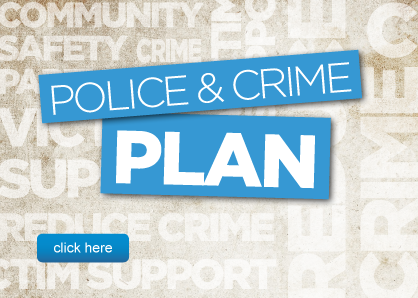 This year I will be refreshing the Police and Crime Plan and setting the budget for 2014/15 and once again want to make sure that you have the opportunity to tell me what matters to you in your community. I would be grateful if you could spare some time to complete this survey and encourage your colleagues, friends and family to do the same. I want to make sure the Police and Crime Plan continues to reflect your priorities. The questionnaire can be found online, please use the link below. The closing date for responses is Sunday 8 December 2013. Let’s make these decisions together to make sure that all of our communities are safer and feel safer.